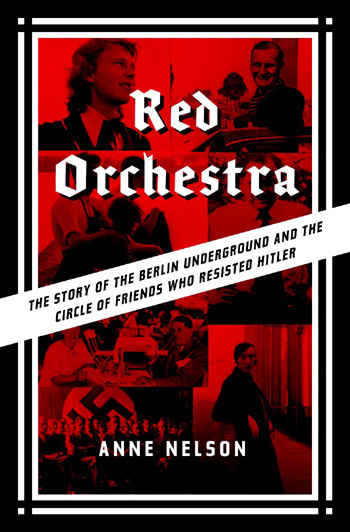 Acclaimed author Anne Nelson will read from and sign copies of her new book “RED ORCHESTRA: The Story of the Berlin Underground and the Circle of Friends Who Resisted Hitler” at OSO at Southampton Inn, 91 Hill Street Southampton, on Sunday July 19 from 5:50 pm to 7:00pm in the Library. A special $29 prix fixe dinner will be offered that evening in OSO beginning at 7:00 pm. In this unforgettable book, the distinguished author and playwright (“The Guys”) Nelson shares one of the most shocking, inspiring, and least chronicled stories of resistance to the Nazi regime. The Rote Kapelle, or Red Orchestra, was the Gestapo’s name for a group of ordinary Germans -- artists, intellectuals, and bureaucrats, almost half of them women -- who joined together and conspired to bring down the Nazi regime. According to Nelson, no collection of individuals has ever been further from the popular image of James Bond and spies, yet the undercover impact they had was vital. Anne Nelson has been the recipient of numerous awards and grants, including a 2005 Guggenheim Fellowship and the 1989 Livingston Award for international reporting. Her books and articles have been published widely, and her play “The Guys” has been staged throughout the world. As a war correspondent in El Salvador and Guatemala from 1980 to 1983, Nelson published reports and photography in the New York Times, Los Angeles Times, and many other publications. She is a graduate of Yale University and a member of the Council on Foreign Relations.